Official Transcript will be request from the selected winner. ELIGIBILITY: The Pediatric Dentist of Tomorrow Scholarship essay contest is open only to those legal residents of the fifty (50) United States and the District of Columbia who are eighteen (18) years of age or older at the time of submission and who are currently enrolled in an accredited college or university or who will be enrolled by March 1, 2016 and aspire to a career in the dental field. Current employees, officers, directors and agents of Sponsor and its related companies and members of their immediate families (defined as spouse, parents, siblings and children) and persons residing at the same address are not eligible to be awarded this scholarship. Void where prohibited. 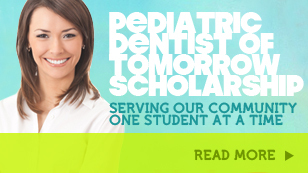 HOW TO APPLY: Beginning March 15, 2015, submit an essay online at the Sponsor’s Website (http://www.SmileReef.com/pediatric-dentist-of-tomorrow-scholarship/) no later than March 15, 2016 at 11:59 pm Pacific Standard Time. Entries submitted by any other method (i.e. email, snail mail) will not be considered. Limit one (1) Submission per person. Your essay must be written in English, with correct spelling and grammar, and it must be no less than three-hundred (300) and not more than one thousand (1,000) words. No substitutions of new drafts or corrected pages will be accepted once you have submitted your original essay. Written responses that are obscene, pornographic, libelous or otherwise objectionable will be disqualified. All submissions become the property of the Sponsor and will not be returned. Sponsor assumes no responsibility for lost, late, misdirected, or unintelligible entries. By submitting the essay, survey, and online form, you fully and unconditionally accept and agree to these Official Scholarship Rules and the decisions of the Sponsor, which are final and binding. SELECTION OF POTENTIAL SCHOLARSHIP WINNERS: By April 15, 2016, a judge designated by Sponsor will select one winner from all of the submissions that meet the requirements listed in section one (1). Writing ability, creativity, originality, and overall excellence will be taken into account. The potential winner will be notified by e-mail, at which time they will be required to sign further documentation as explained below. Sponsor shall have no liability for any potential winner notification that is lost, intercepted or not received by the potential winner for any reason. Sponsor reserves the right to choose different Scholarship Prize Recipients if initial recipients do not respond to accept Scholarship Prize within 7 days of notification. Sponsor reserves the right to extend the call for submissions if, in its sole discretion, it does not receive a sufficient number of eligible and qualified submissions. Portions of the Prize Winning submission may be posted on the Sponsor’s Website, and may be used in other marketing materials, without further compensation or notice to the winner. SCHOLARSHIP PRIZES: One (1) winner will receive a Scholarship Prize in the amount of five hundred dollars and zero cents ($500.00). The Scholarship Prize will be in the form of a check made payable to the Scholarship Prize Recipient. Scholarship Prize Recipients must submit proof of enrollment upon notification of awarded scholarship. Scholarship Prizes may not be assigned, transferred, or changed, except at the sole discretion of Sponsor. No cash equivalent prizes will be awarded. The awarding of any Scholarship Prize is contingent upon full compliance with these Official Rules. Applicants agree to be bound by Official Rules and agree that if any Scholarship Prize Recipient fails to provide proof of identity, refuses to provide a high-resolution headshot photo digitally, refuses to provide required affidavit, refuses to complete and provide any requested tax forms (including IRS W-9 form), is found to have violated the Official Rules or otherwise does not meet eligibility criteria, Scholarship Prize will be forfeited and the Applicant who submitted the essay with the next highest score will become an alternate potential Scholarship Prize Recipient. Applicants understand that Sponsor is not liable for injuries, losses or damages of any kind arising from participation in this Scholarship Program and acceptance, possession and use of Scholarship Prize. Sponsor is not responsible for any typographical or other error in the printing of the offer, administration of the Scholarship Program or in the announcement of the Scholarship Prize. Taxes on prizes are sole responsibility of Scholarship Prize Recipients. Scholarship Prize Recipients will be issued 1099 tax forms. PUBLICITY: Except where prohibited, by accepting a Scholarship Prize, the Scholarship Prize Recipients agree that Sponsor may, without any limitation or further compensation or notice, use his or her name, voice and/or likeness in any and all media, worldwide, for the purpose of advertising and promoting the Website, the Sponsor, the Scholarship Program, or any other promotion sponsored by SmileReef.com. OWNERSHIP: By submitting an essay, survey, and form, you acknowledge and agree that: (a) Sponsor will own your submission, including your essay, and (b) Sponsor will own all publishing rights in and to the essay. Each Applicant hereby irrevocably grants, transfers, assigns and conveys to the Sponsor, its successors and assigns, all present and future right, title and interest of every kind and nature whatsoever, including, without limitation, all copyrights, and all rights incidental, subsidiary, ancillary or allied thereto (including, without limitation, all derivative rights) in and to the submission and the survey responses for use of any kind, without limitation in perpetuity, by means of any and all media and devices whether now known or hereafter devised (the “Rights”). Sponsor shall have the right, in its sole discretion, to edit, composite, morph, scan, duplicate, or alter, the submission and survey response for any purpose which Sponsor deems necessary or desirable, and each Applicant irrevocably waives any and all so-called moral rights they may have in the submission and survey response submitted by him or her. Each Applicant hereby acknowledges that such Applicant does not reserve any rights in and to the submission and the survey responses. DISPUTE RESOLUTION: Except where prohibited, by participating, Applicant agrees that all issues and questions concerning the construction, validity, interpretation and enforceability of these Official Rules, or the rights and obligations of participants and Sponsor and their agents shall be governed by and construed exclusively in accordance with the laws of the State of Nevada without giving effect to any principles of conflicts of law of any jurisdiction. Applicant agrees that any action at law or in equity arising out of or relating to this Scholarship Program, or awarding of the prizes, shall be filed only in the state or federal courts located in the State of Nevada and Applicant hereby consents and submits to the personal jurisdiction of such courts for the purposes of litigating any such action. Except where prohibited, by participating in this Scholarship Program, Applicant agrees that: (a) any and all disputes, claims, and causes of action arising out of or connected with this Scholarship Program, or awarding of the Scholarship Prizes, shall be resolved individually, without resort to any form of class action; and (b) any and all claims, judgments and awards shall be limited to actual out-of-pocket costs incurred, including costs associated with participating in this Scholarship Program but in no event attorneys’ fees; and (c) under no circumstances will any participant be permitted to obtain awards for and hereby waives all rights to claim punitive, incidental and consequential damages and any other damages, other than for actual out-of-pocket expenses, and any and all rights to have damages multiplied or otherwise increased. Some jurisdictions do not allow the limitations or exclusion of liability for incidental or consequential damages, so the above may not apply to you. REPRESENTATIONS AND WARRANTIES/INDEMNIFICATION. Each person who enters this Scholarship Program represents and warrants to Sponsor as follows: (i) the submission, including the essay, is the Applicant’s own original, previously unpublished, and previously unproduced work; (ii) the written response submission neither infringes upon nor violates the intellectual property rights or other rights of any other person or entity; (iii) the written response submission does not and will not violate any applicable laws, and meets the Submission Requirements set forth above. Each Applicant hereby agrees to indemnify and hold the Sponsor harmless from and against any and all third party claims, actions or proceedings of any kind and from any and all damages, liabilities, costs and expenses relating to or arising out of any breach or alleged breach of any of the warranties, representations or agreements of Applicant hereunder. SUPPORTING DOCUMENTATION: Upon notification of being the Scholarship Prize Recipient the winner will be required to complete and return an (a) Affidavit of Eligibility, (b) Publicity/Liability Release, and (c) Copyright Assignment, (e) IRS W-9, and to submit (f) a copy of their United States Driver’s License, (g) Headshot photograph in high-resolution, digitally as a JPEG or TIFF file no later than three weeks after notification, or the Applicant with the submission with the next highest score will become an alternate potential Scholarship Prize Recipient. If notification to a potential Scholarship Prize Recipient is returned as undeliverable, the Applicant with the submission with the next highest score may become an alternate potential Scholarship Prize Recipient. NO OBLIGATION TO USE: Sponsor shall have no obligation (expressed or implied) to use any winning submission or continue the development, production or distribution thereof, and Sponsor may at any time abandon the use of the winning submission for any reason, and the Scholarship Prize Recipients shall not be entitled to any damages or other relief by reason thereof. IMPORTANT: PLEASE READ – GENERAL RELEASE AND LIMITATIONS ON LIABILITY. By entering the Scholarship Program, each Applicant acknowledges and agrees that the Sponsor, its related companies, affiliates, and each such company’s respective employees, officers, directors and agents are not responsible for any costs, injuries, losses, or damages of any kind arising from or in connection with: (i) incomplete, lost, late, misdirected or illegible entries or for failure to receive submissions due to any cause, including without limitation human, transmission, or technical problems, failures, or malfunctions of any kind, whether originating with sender, or otherwise, that may limit an Applicant’s ability to participate in the Scholarship Program; or (ii) any injury or damage resulting, directly or indirectly, in whole or in part, from participation in the Scholarship Program and/or the use of any prize, including, without limitation, claims, costs, injuries, losses and damages related to personal injuries, death, damage to, loss or destruction of property, or any claims, costs, injuries, losses, or damages related to or based on the Applicant’s rights of publicity or privacy, or the Applicant’s claim that he or she has somehow been defamed or portrayed in a false light. Sponsor assumes no responsibility for any damage to an Applicant’s computer system which is occasioned by accessing the Website or participating in the Scholarship Program, or for any computer system, phone line, hardware, software or program malfunctions, or other errors, failures, delayed computer transmissions or network connections that are human or technical in nature, or for the incorrect or inaccurate capture of information, or the failure to capture any information. This scholarship program is subject to all U. S. federal, state and local laws and regulations. Void where prohibited. GENERAL PROVISIONS. Sponsor reserves the right in its sole discretion to disqualify any individual who is found to be tampering with the application process or the operation of the Scholarship Program or the Website, to be acting in violation of these Official Rules, to be submitting responses dishonestly or inaccurately, or to be acting in an unsportsmanlike or disruptive manner. In the event of a dispute as to the identity of any entrant, the authorized account holder of the email address used to enter will be deemed to be the entrant. The “authorized account holder” is the natural person assigned an email address by an Internet access provider, online service provider or other organization responsible for assigning email addresses for the domain associated with the submitted address. If a submission is confirmed by Sponsor to have been erroneously deleted, lost or destroyed, the entrant’s sole remedy shall be another submission, if time permits. Sponsor’s failure to enforce any term of these Official Rules shall not constitute a waiver of that or of any other provision. GLIST OF SCHOLARSHIP PRIZE RECIPIENTS: The names of the Scholarship Prize Recipients of this Scholarship Program will be posted on the SmileReef.com website.